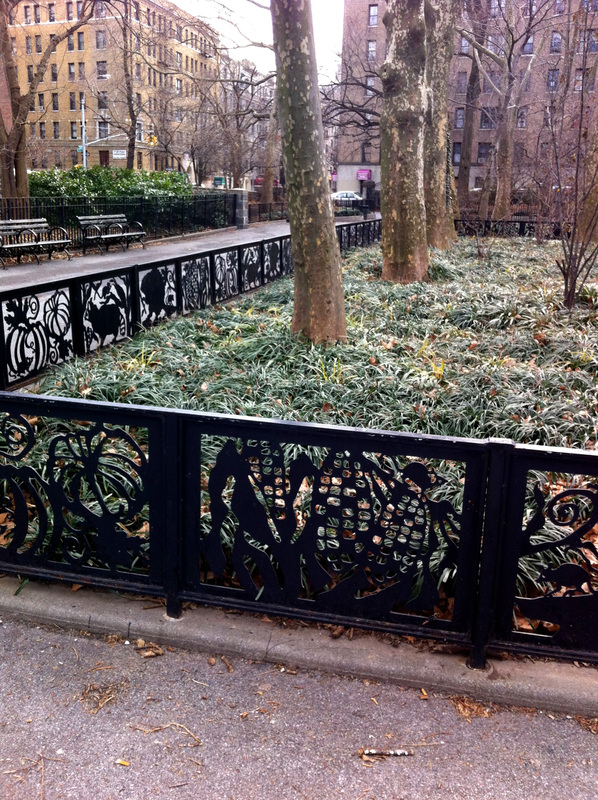 Ornate wrought iron railings, gates and tree-guards are common in New York City. However, as I strolled through J. 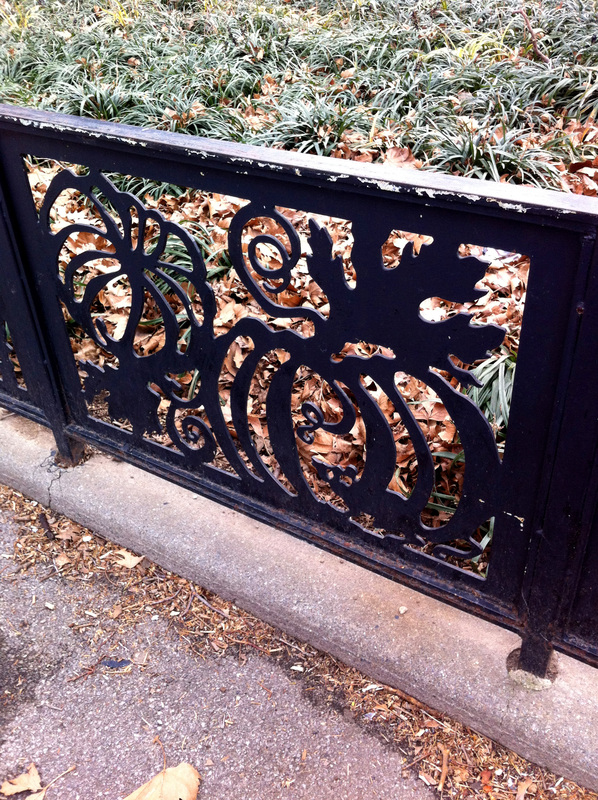 Hood Wright Park today, I noticed the most artistic example of metalwork I have seen in a while. Around the edge of a large planting bed full of mature trees and grasses was a fence with inset panels depicting beavers, mice, pumpkins, raccoons and other creatures. The relief work is inventive and completely appropriate to have adjacent to the children’s playground (which is cleverly modeled after the George Washington Bridge). 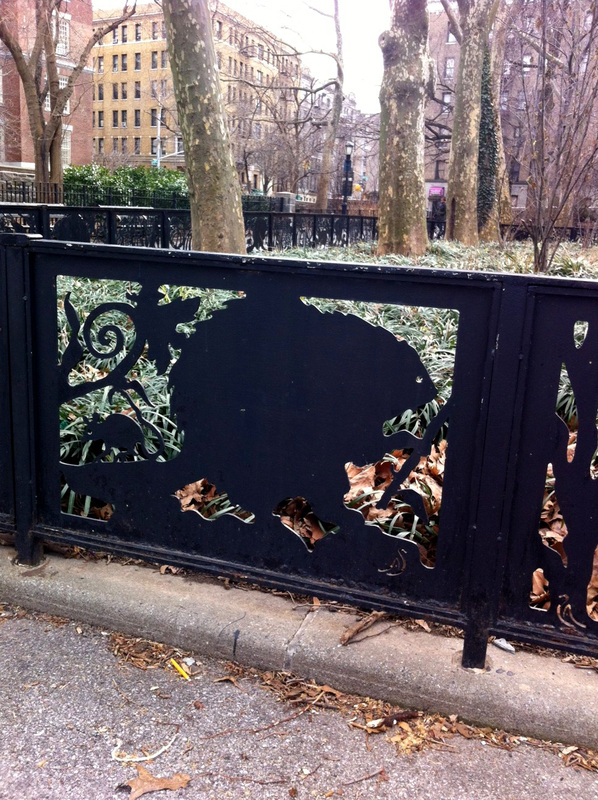 Arlene Slavin is the artist behind this delightful fence. It turns out Ms. Slavin is talented in painting and sculpture with a diverse portfolio to boot. Her commissioned works can be found in train stations, schools and zoological parks. Ms. Slavin currently resides in NYC where she was born and raised. See it in person: J. 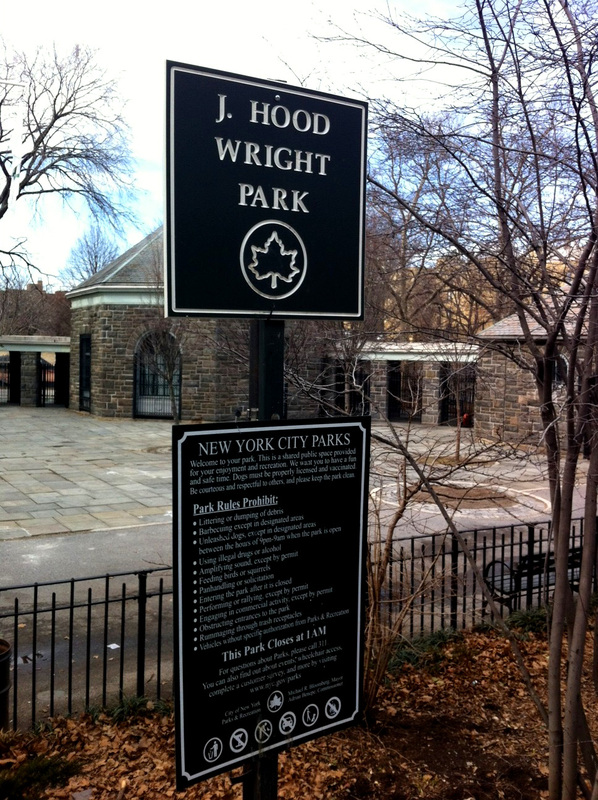 Hood Wright Park is located at 173rd Street and Fort Washington Avenue in Manhattan’s Washington Heights neighborhood. Originally the site of a mansion owned by Mr. Wright, a wealthy banker from Philadelphia, the park came into being in 1925 when the closest green space at that time was over a mile away. 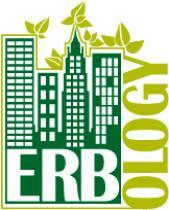 The park now features handball, volleyball and basketball courts with stellar views of the George Washington Bridge and a dog-walk. What more can you ask for from your park?